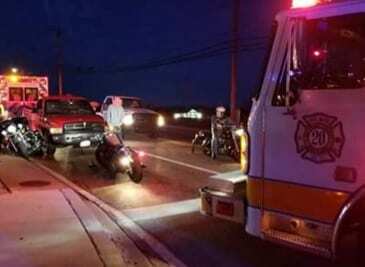 Crews responded to a motorcycle crash in White Marsh on Thursday night. The crash occurred at just after 8 p.m. at the intersection of Philadelphia Road at Cowenton Avenue. Emergency personnel from White Marsh Volunteer Fire Company responded to the scene and found that two motorcycles and a pickup truck were involved. One motorcycle operator was taken to a nearby trauma center for treatment while the other refused treatment. The pickup truck driver was uninsured.